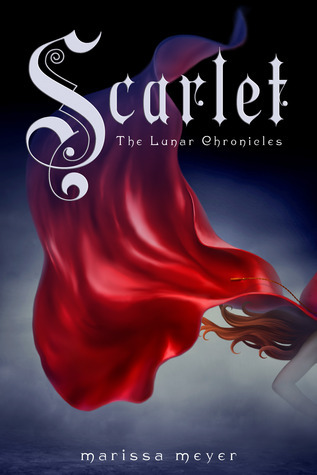 In the second book of the Lunar Chronicles, we meet Scarlet. She’s a hardworking and loyal young lady, set in her ways. When her grandmother is kidnapped, Scarlet goes against everything everyone tells her and determines to do whatever it takes to get her back. When her path intersects with Wolf, a mysterious street fighter, she must decide if she can trust him to help her in her quest. On the other side of the things is Cinder. Imprisoned, she works her way out of her predicament and sets off on a journey of her own. Scarlet is an adventure like no other. Honestly, I had no idea what to think of this book. I LOVED Cinder to pieces and I mean LOVED. I had no idea what to expect from the first book and the same was true for book two. Let me be honest and say, IT BLEW ME AWAY. Seriously, prepare yourself for a lot of feels. Scarlet is an amazing character. I loved seeing her come alive on the pages. Her attitude, her strong convictions, the fact that she won’t give up on her family are all characteristics of a great person. I had so much fun following her story. Then there’s Wolf. Who would’ve thought you can get swoonie over him, but HOLY MOLY did I ever?! I loved the different perspective on his character. His tortured soul and protective instincts will make all girls go “awww”. Together, these two, complement each other in a way that is refreshing. Honestly, I had no idea what I was going to think reading about them, but I definitely didn’t expect to read all of 464 pages in one day. On the other side of the story is Cinder and her journey. I was very interested to see just how Marissa will write these two characters into the same book and I wasn’t disappointed. I loved seeing Cinder and her strong spirit and her journey. (Also, need more prince Kai). I’m really excited to see what happens next because OMW the ending is AHH!!! Scarlet comes out February 5, 2013. Get it, read it, love it!